My friends, and fellow sailors, Shane and Dave went out on Saturday (I believe) to record the marks that are used by the Guernsey Yacht Club for club racing courses. The aim was to record the GPS locations of the various marks and to photograph the marks as a visual aid when trying to spot them during races. 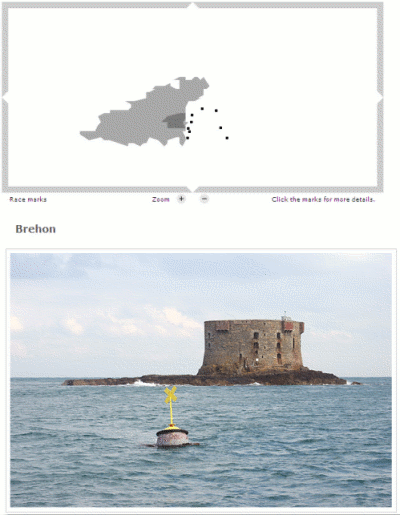 Shane has also put together a website which ties together a map of Guernsey and photos based on the GPS information. This image shows the map with the thumbnail that is displayed when you hoverover a mark. 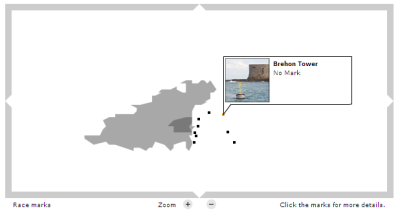 When a mark is selected from the map a full-sized image is displayed below it showing the selected mark.